You may need to sub-rent a product if it’s a product that you don’t own, or if you have a shortage. Setting a product as sub-rented mirrors the sub-contract process for services. When adding an item using the “Add new opportunity item” screen, toggle the “Sub rent stock” slider to YES to tell Current RMS that you’re sub-renting this product. The supplier is the vendor or third-party providing the kit. As you type, Current will suggest from organizations in People & Organizations. The cost rate definition, group, and price will be pulled from the product initially. If you choose a supplier, supplier costs may be used. If you pop in a supplier and the costs change, Current will flash updated fields and let you know what’s changed. Toggle the “Sub-rent stock” slider to YES. In the “Stock Allocations” section, hit the green add allocation button, then choose “Sub-rent booking” from the list of options in the drop-down box. Choose an organization from People & Organizations as a supplier, i.e. the vendor or third-party providing the kit. Optionally set a container. In the quantity column, specify the quantity of kit coming from this supplier. 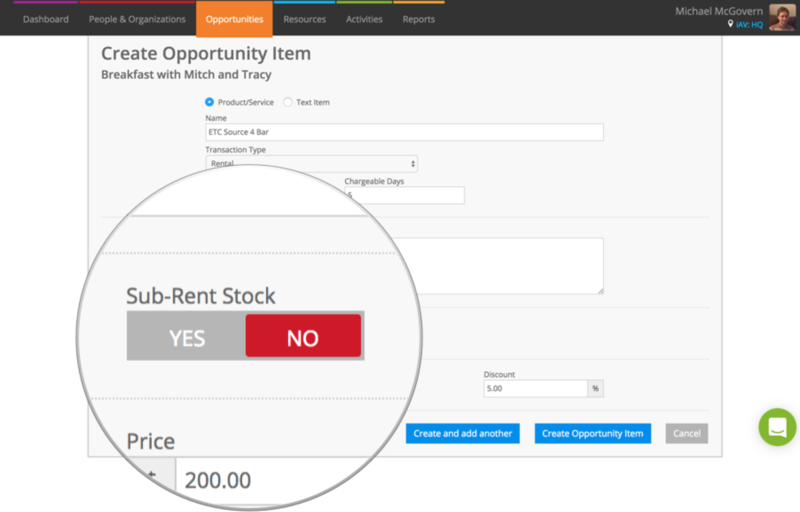 You may create multiple sub-rent allocations for a single opportunity item – perfect if a single supplier doesn’t have enough stock to cover your order. If working with bulk or none stock, make sure the number of allocations adds up to the quantity at the top of the screen. 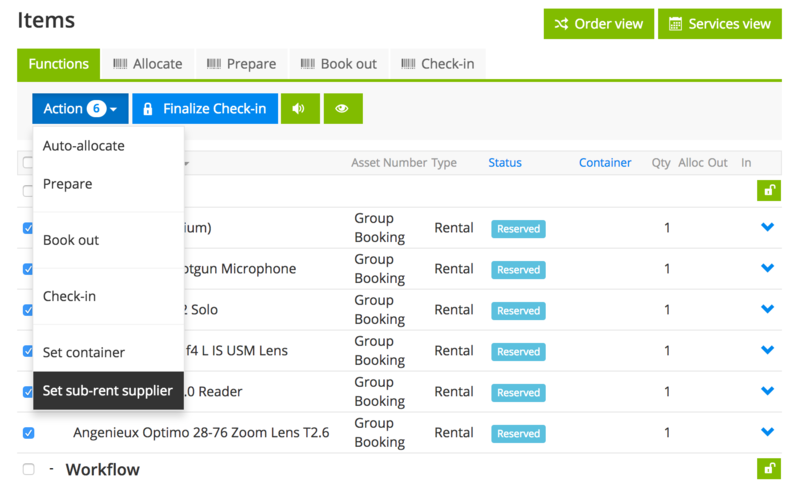 You can also set set a sub-rent supplier and mark items as sub-rented from the opportunity detail view. Tick boxes, then choose Set sub-rent supplier from the Action menu. Toggle the “Convert to sub-rent” slider to YES to set any items that haven’t been marked as sub-rentals as sub-rented. Keep in mind that when you do this, if another line exists for the same product and supplier on the opportunity then this line will be merged into the old line. This may result in the deletion of the opportunity cost. Similarly, sub-rented stock shows in square brackets in your availability screens. When sub-rented products are checked-in and finalized, they are returned to the quarantine as supplier returns. This reminds you to return them to the supplier. Book them out of the quarantine when you’ve sent them back. There’s a tile on the dashboard to help you manage these.